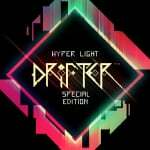 It has been confirmed that Hyper Light Drifter, the Legend of Zelda: A Link To The Past and Diablo-inspired action RPG, will feature some exclusive goodies when it arrives on Switch this summer. We've known that the title is coming to Switch for a couple of months now - after the cancellation of the original Wii U build - but further details have been pretty few and far between. Thanks to this video shared by the folks at GameXplain, though, we now have some more concrete information on the upcoming port. The most exciting news comes in the form of exclusive content for Nintendo's handheld. Firstly, a brand new - and more powerful - double sword will be included in this version, attainable at a later stage in the game. You can see the sword in action in the video above. On top of this, the game will also feature a brand new area that will be exclusive to the Switch edition, too. It is also worth mentioning that Abylight has confirmed that the game will run at 60fps, achieving a 1080p resolution when docked. The game's achievements will be carried over to the Switch (although these will be in-game only, of course) and the game is expected to launch at a price point consistent with other versions. Players will be able to use a single Joy-Con for local co-op play, and motion control is apparently not supported. Will you be keeping an eye out for this one when it launches this summer? Let us know if you'll be picking it up with a cheeky comment below. Excellent news! Haven’t played this at all yet so very excited it’s going to be on a Nintendo system for my first play through! Oh I will. I skipped on PC version in favor of Switch. 60FPS alone makes this excellent news. Day one for me for sure! This was 30fps on the PS4 due to a limitation in the off the shelf game engine used. Glad to hear they have a fix in place. I thought the game was rather over-rated. It's brutally difficult, and often feels unfair in doing so. It's also incredibly repetitive. Ooooooh exclusive content....now I’m tempted to double dip!! This sounds like a wonderful port. Can't wait to play it! Great stuff, looking forward to this one. Any news on a physical release? I was looking forward to getting this back on the WiiU before it was unceremoniously canceled. So excited to play this again. Even without the new content I was going to double dip. This just sweetens the deal. One of the best games I've played in my life. My Life! @King_Johobo Ah, Moonlighter is the indie game I'm most excited about for this year - but I will wait for the Switch release. Hyper Light Drifter is definitely up there, though. "and the game is expected to launch at a price point consistent with other versions"
YESEEESSS. Been waiting for this news. Day 1, hands down. The definative version...Sweet justice for Nintendo. Wait, how did I miss that this was coming to Switch?! Plus, it has exclusive content?! New area? How big we talking?? Might double dip here. Played it on PS4 a lot, NG+ was harrrd! And I've tried a few no death runs, always seem to die about 10 times though! @moroboshi they did patch in 60fps for PS4. And it isn't that difficult. Well they sure never told their backers. Looking forward to finally playing it, even if I had to get a new system to do so. NNNGGH. This is easily one of my favorite games of the past decade. There was no doubt I'd be double-dipping here, but boy does that extra content sweeten the deal. I have been waiting on this game for ages, even back from the Wii U days. Now that it is coming to Switch I will definitely pick it up as it is my indie machine! I have got to have this game on Switch. Will it get a physical version? I want this game now! I was so tired to wait for it that I brought it in 2016 for ps4. Look forward for my second playthrough. I played through a good chunk of this on XBO and will gladly double dip for the Switch version with this news. Fresh take on past Zelda type of game... at the right price pint, I’m in! I've already played this 3 times:It's first release on PC, it's release on PS4, and the third one will now be on switch! @moroboshi I imagine its just not your game type. I finished the game in 2016 and I didn't find it difficult. Maybe the hard mode!? And if you find it repetitive its clearly not your cup of tea. As any bad and snes Zelda game. It's 60fps on ps4 since January 2017. @Francema 20$USD Its too much? @0muros Mm no but I guess depends on the length. Putting it on my list! Thanks. Sweet deal. I know what system I am buying it for! Can't wait to play this on the go. The gameplay is phenomenal but the atmosphere of the game was truly breathtaking. One bit of advice is to start with the northern area first. The eastern area is a bit tough to start with. @Oat hmmm I'd say either or. Eastern area gets you a pretty useful weapon early, whereas the northern area's enemies aren't too difficult to deal with. @0muros Let me guess, you finished it on your first go with your eyes closed and using a dance mat, right? 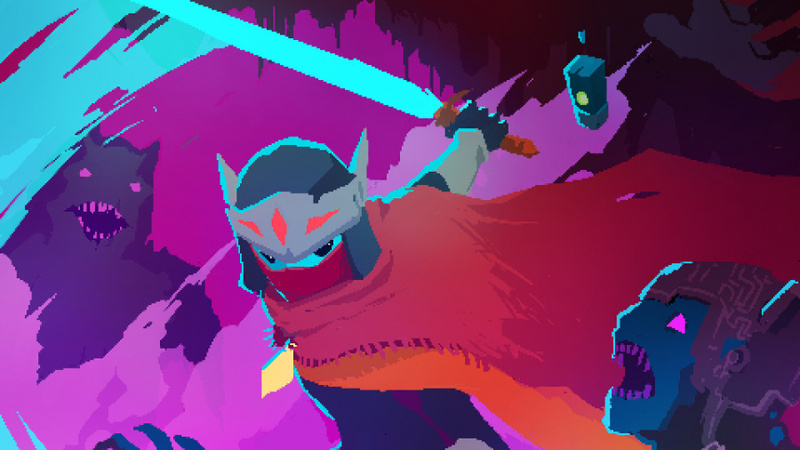 Hyper Light Drifter is a notoriously difficult game. If you really did find it a walk over then bully for you. @moroboshi Sorry if you took my comment personnal. It was not my intention. It wasn't judgemental. It was to give another point of view. I didnt find it difficult. Sorry again. @moroboshi It's really not difficult. As said before, it's probably just not your thing. I played this in a video game book club, and every member beat it before the review gathering, and we all had positive thoughts about it. Definitely not repetitive, the layouts in the dungeons and monster arrangements were one of the best parts of the game. I can't wait to play this again on Switch. My only gripe was the final boss didn't have a second form, I was hoping for a more drawn out battle that was a bit more difficult. @moroboshi Disasterpeace’s music is what made me keep coming back to this game. That and the incredible art design and gameplay. Definitely grabbing it for the Switch. I Kickstarted and double-dipped on this game when iam8bit did a physical release, so needless to say I'll probably end up buying it a third time. God I just love the music and atmosphere of this game. I have it on PC and you better believe I'm double dipping! I will also triple dip if there is a physical release. I have it on PC but it never really hooked me, though I've really only tried the first few minutes. @ramu-chan Eh everyone is different, the difficulty was just right for me, and it never got to repetitive for me. Wasn't rated high enough if you ask me. But you know it is what it is. The more the merrier. It will keep me busy till Gods & Glory DLC releases for Hollow Knight (a masterpiece) and of course Dead Cells on Switch next month, next up I hear Salt and Sanctuary is coming to Switch as well (thats just rumour mill, but I've been hearing it from numerous sources, so that would be cool). Now just need Heart Forth, Alicia and Old Moon Games (Matt White from Columbus, Ohio) and his passion project GHOST SONG (next to Thomas Happ & Axiom Verge its the closest thing to surpassing AM2R). But Hollow Knight is by far the best title on the Switch, but I'll enjoy Hyper Light when it drops, it was never all that difficult to me - just a few spots that felt a bit unbalanced. But It always felt fair for the most part. LOL overly-difficult/masochistic-platformer = 1001 Spikes, in that classic Boogerman or Super Ghouls n Ghosts way. But I've been gaming 30 years...so most so called punishing titles I consider to be just average in terms of difficulty (long as the pacing is good) Hyper Lights pacing is excellent, and its really not all that long of a game. But between Isaac and Hollow Knight I'll get a few hundred hours on the Switch till Dead Cells drops in August (then Octopath Traveler for me). Celeste/Axiom Verge/Binding of Isaac: Afterbirth+ (I have 640 hours on Switch version, that game has a cult-following, by far the best isometric dungeon crawler w/ procederally generated content). Can't resist a McMillen title. I got the Physical version for $30 (with the 2 packs of stickers & game cartridge, and classic golden manual which is a throw-back to the classic NES-8-bit era of game manuals like the original TLoZ. CLans, communities, 600+ items, 2,500 room combinations, 4 expansions, 5 booster packs, 8 years, 12 million copies of game sold (across numerous platforms)., 375 achievements/secrets, 15 characters, many unlockables, daily runs, challenges, that game has more bang-for-buck-content, and immense replay value...hooks you ...hook line and sinker. Like a crack fiend wanting 1 more blast before night-time. "Just 1 more run tonight". Between those handful of games thats literally months of game-play, then Octopath, then Dead cells, and lastly Hyper Light...I'll be interested to see what "new" content (area+boss) they include.